Este modelo mede 180 cm e veste tamanho P. O peitoral mede 86 cm e a cintura 66 cm. It doesn't take much to make a statement. This women's tee shows off a contrast Reebok graphic across the chest. 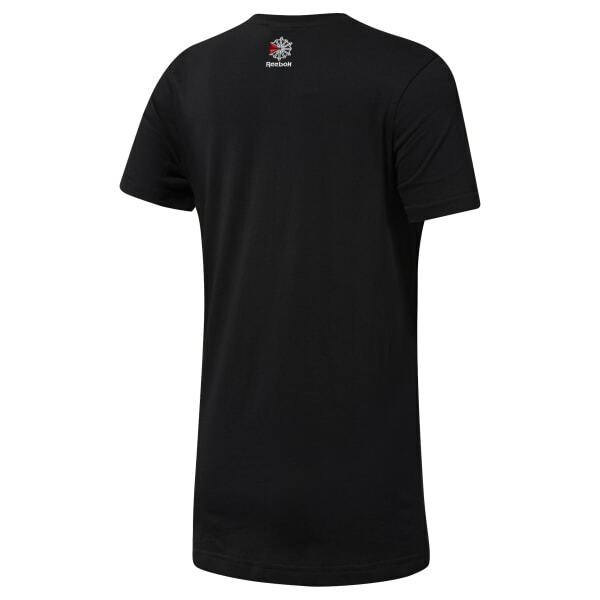 The minimalist t-shirt is made of soft cotton for all-day comfort.